Pamper your pet and keep your home odor-free with Ever Clean Extra Strength Unscented Premium Clumping Clay Cat Litter. This 99.9% dust-free and 100% scent-free cat litter is specially formulated for pet parents and feline friends who are sensitive to scents. Once the CarbonPlus grabs odors, the antimicrobial agent inhibits the growth of odor-causing bacteria, until finally plant extracts work to eliminate odors entirely. Not only will your house maintain its natural freshness, but the strong clumping formula makes cleaning especially easy after each use. Upgrade your kitty’s litter box with Ever Clean, she deserves it! Ammonia-shield, antimicrobial agents and plant extracts help to destroy litter box odors for you and your feline friend. Extra strength formula is 99.9% dust-free and fragrance-free, making it the purr-fect option for sensitive cats. 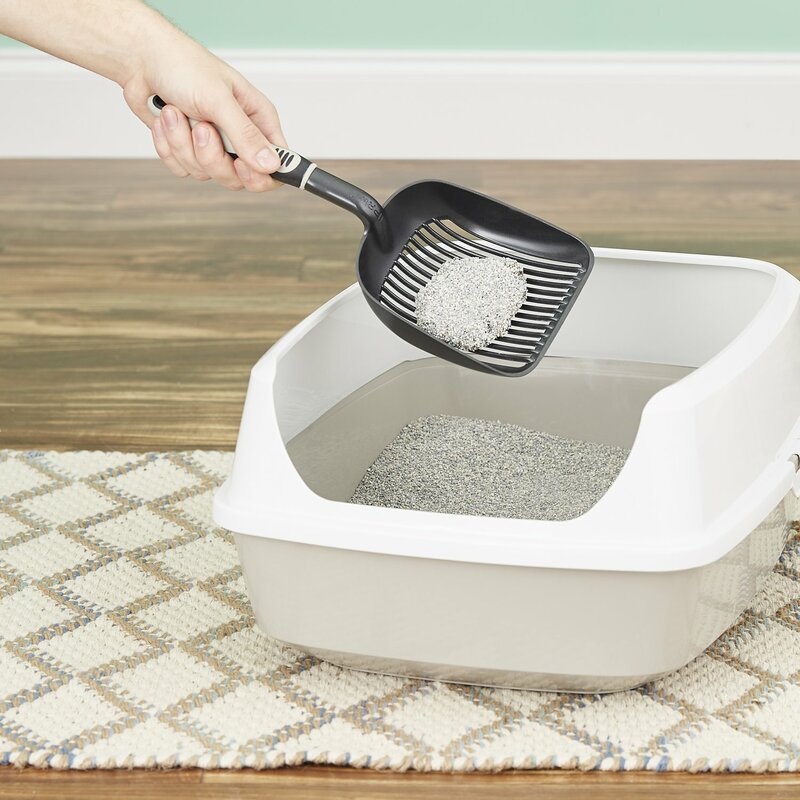 Highly absorbent, larger granules of clay form solid clumps to allow for an easy litter-box cleaning and helps to reduce tracking throughout the house. As the first U.S. company to produce clumping cat litter, Ever Clean really knows what works in the litter box. Having a litter box in the house doesn't have to be a burden, and it really isn't when you've got premium litter to fill it with. 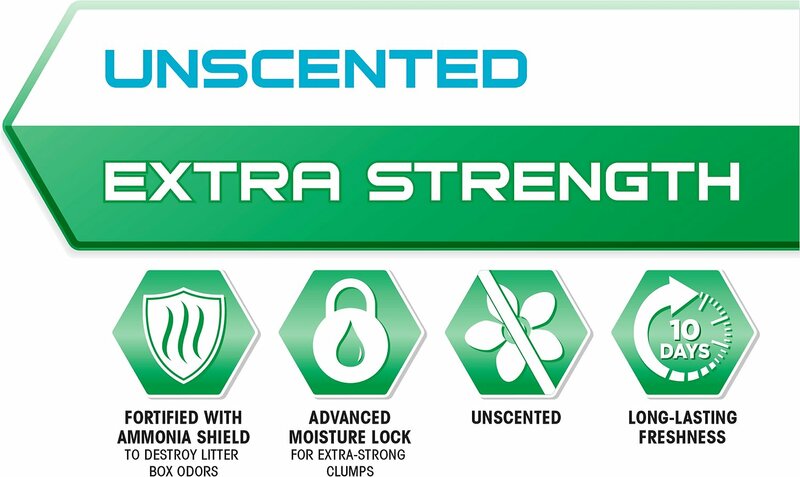 These formulas use patented Carbon PLUS technology for maximum odor control—up to 10 days. With five different formulas to fit your kitty's unique needs, scooping the litter won't be the chore it used to be. Carbon PLUS grabs and holds ammonia and stool odors before they can circulate throughout the house. A special antimicrobial agent inhibits bacterial growth inside the litter box that causes offensive smells. Paw-activated plant extracts eliminate odors, leaving the litter box (and your home) smelling fresh. Ever Clean offers several odor-neutralizing solutions that work without fragrances that can irritate allergies. Extra Strength Unscented forms tight clumps to contain liquid waste and destroys odors with a powerful ammonia shield. Because it hardens quickly, the premium natural clay prevents urine from seeping to the bottom of the box. You can also get the Lightweight version, which is easy to lift, carry and pour. Just 15.4 pounds of this formula is equal to 22 pounds of regular litter. If you usually end up with more litter outside the box than inside when your kitty's done pawing around, check out EverFresh with Activated Charcoal. This unscented litter is easy on your nose, and your vacuum, too. It uses larger granules of clay to reduce tracking throughout the house. To keep things fresh, activated charcoal is bonded to and mixed with the litter to soak up odors. 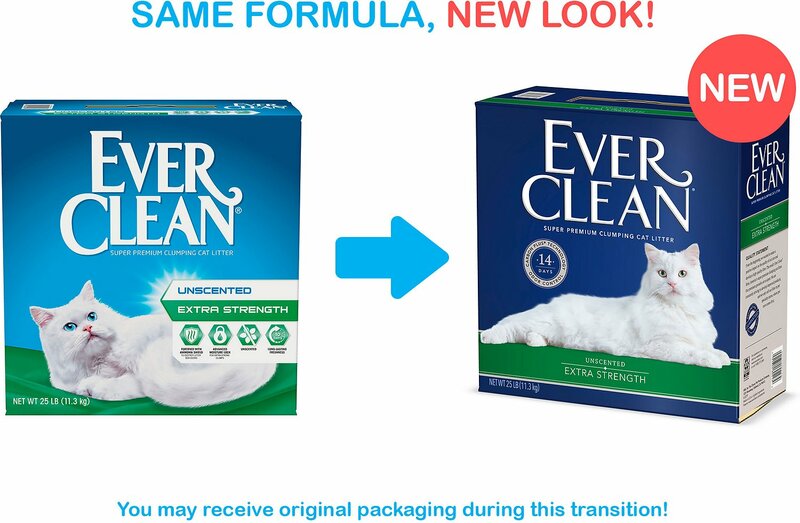 If you prefer a scented litter but don't want one that's overpowering, try one of Ever Clean's light scent formulas. Lightly Scented Extreme Clump offers premium clumping technology and releases a gentle, clean fragrance as soon as your kitty uses the litter. For households with more than one cat, Ever Clean made Lightly Scented Multiple Cat. It's even stronger than the Extra Strength litter with more odor-fighting agents. Ever Clean doesn't just know about litter—they were the first ones in the U.S. to develop a litter that actually clumps for easy scooping. They've come a long way since then; always at the forefront of new and improved products and innovative litter solutions. Ever Clean always puts your cat's health and happiness first, with strong-clumping, premium litters that are made to fit every pet family's needs. I live in a small house with 4 cats, so the multiple litter boxes I have need pretty frequent cleaning and changing. I had yet to discover a really reliable odor control litter. Based on reviews, I decided to give this one a try. I have to confess I totally forgot to clean the boxes for a few days - there was no odor to alert me! My only complaint - I like the resealable bag, but it makes the opening a pretty tight fit for scooping out clean litter from the bag. 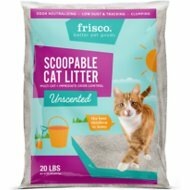 After 17 years of using another brand, we decided to see if a different litter would be more effective in controlling odor. I researched top brands and gave EverClean a try. This stuff is unbelievably good. Our cats didn't hesitate to get in the litter box and they seem unfazed by the change. The only "problem" is that we have to remember to scoop because there is no foul odor to remind us! Best litter of 2019 and I am now a BELIEVER! I have tried a lot of different litters, including the pricey monthly clubs. This is the best litter for smells! The others just covered the smell of urine but did nothing for the poo smell. We had to scoop after every poop, which we found out quickly that 2 cats poop a ton! This litter is the only litter that we haven’t had a problem with any odors. I highly recommend it. 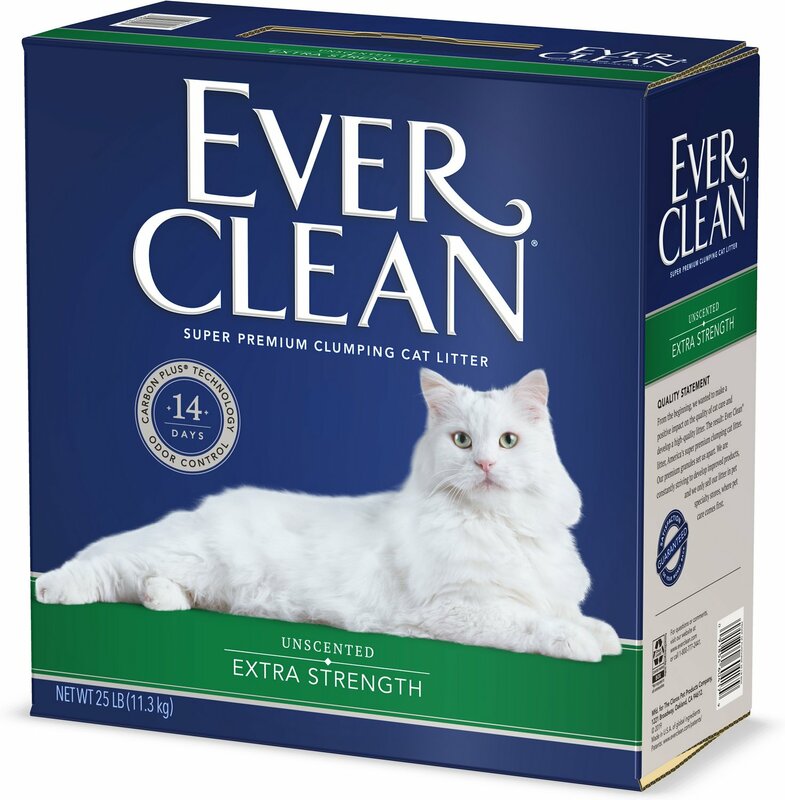 I’ve been buying Ever Clean for my cats since the early 80s when it was probably the only scoopable cat litter on the market. For me it doesn’t get any better than Ever Clean, it controls the odor (I have 3 cats) so well that when I’ve had company over they didn’t know I even had cats. I’ll own up to it and say I did try a lower cost litter when money was tight and I paid the price for doing that with a house that smelled, I went right back to my Ever Clean and have never looked back. My fur babies love it as well, all of them that I’ve had through the years. You’ve found the only litter you want to use, I know I had a long time ago. I have a small room that I share with my cat. Her primary litterbox is located in my closet. Even with the box feet away from my bed, I never smell it. Infinitely impressed. With just a littermat to catch what she digs out, it’s phenomenal. My favorite litter, and she loves it too. Highly recommend. I have been comparing different brands all year. Ever Clean may be more expensive than other brands, but less of it ends up sticking to my cat's paws and there is a lot less scatter outside the box. There is only one brand left to try, "Feline Pine". Plan is to try blending it with Ever Clean - a strategy to cut cost and use litter that is more environmentally friendly than clay.